Sharktrons do not have a high degree of intelligence but their destructive impulses are as good as any other Destron. Especially when in large groups their ferocity make the Cybertrons tremble. They have previously been sighted in certain areas but after the great war they have been seen all over the universe; there is now Cybertron research that suggests that Unicron is responsible for their ecology. As the Sharktrons are all identical, much like the Sweeps, they seem to get on well. Architecture is his art, Grapples work on Seibertron was so highly regarded that his technology was used for war which deeply distressed. Humble yet proud of his duties. He hates it when buildings are destroyed in battle, leaving him in a depressed place severely weakening his offensive capability. Motto: “I don't break rules, I bend them - a lot!" Lambor is a warrior with respect for justice and dedication to the mission. On the other hand he will take reckless action to ensure the mission is accomplished. 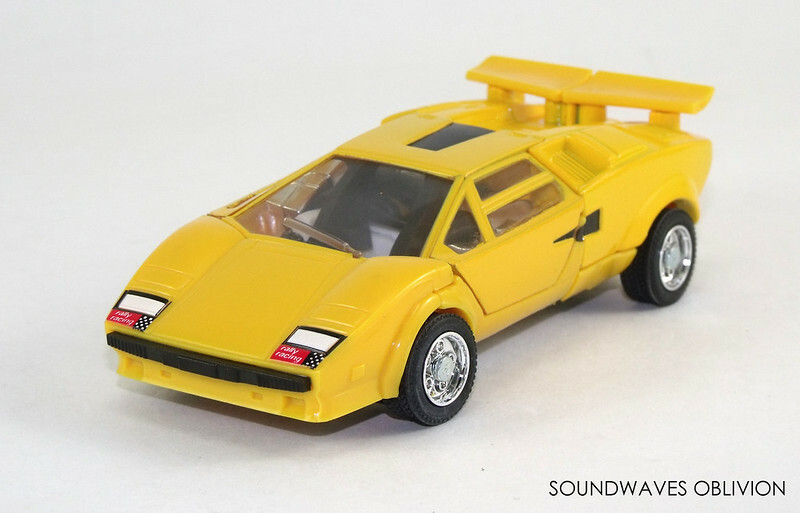 He has the ability to transform into an Earthen Lamborghini Countach LP500S. Capable of aerial combat allowing him to fight neck and neck with the Jetrons. Quite often as a result of his careless behaviour he is under the care of the doctor, Ratchet. Transforms into a tanker truck. 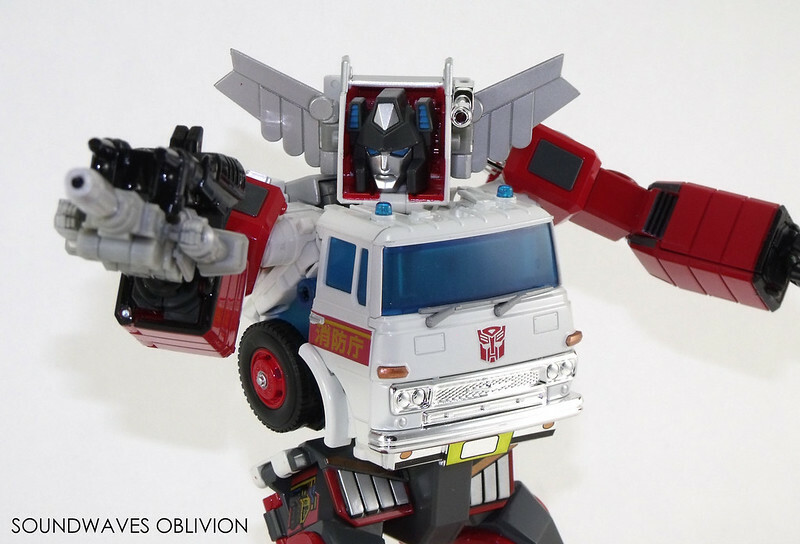 His amazing physical resemblance to Fire Convoy is the result of a simultaneous scanning of a tanker truck and Fire Convoy, but besides that, he seems to have a number of secrets yet hidden. 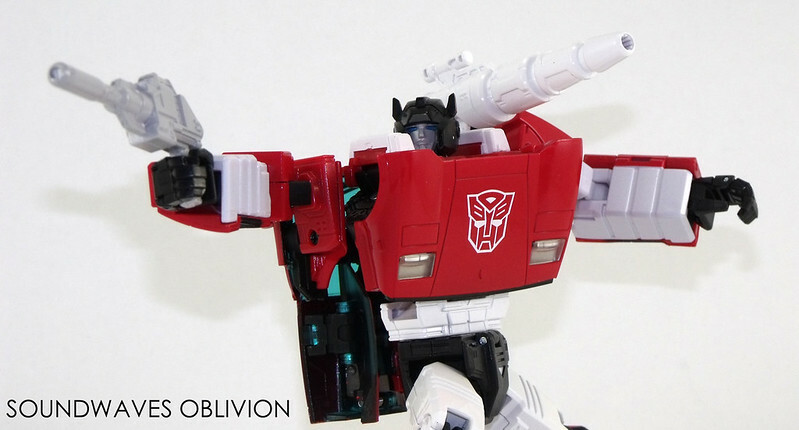 His tanker portion can split apart, unfolding to become a battle base that boasts enough firepower to equal 12 Combatrons. 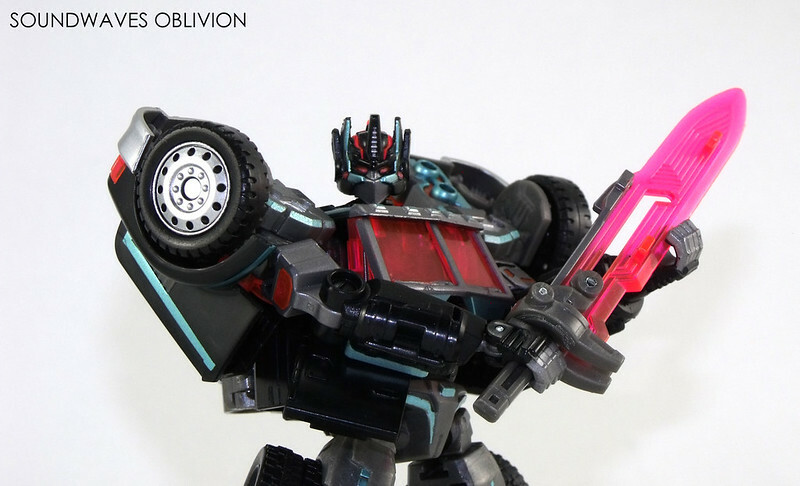 Black Convoy specialises in swordsmanship, and is after not only Fire Convoy's head, but Gigatron's as well. 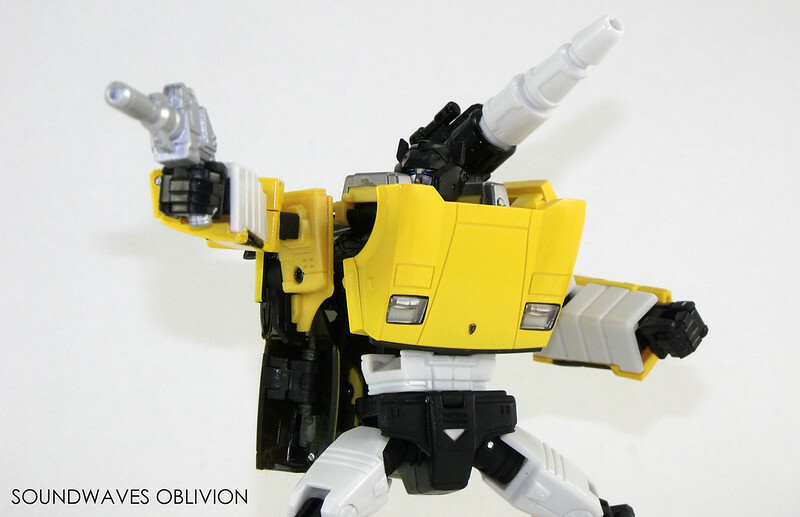 With his complete belief that he will make flowers of evil bloom, Black Convoy walks the path of evil. Not many Destron soldiers would be foolish enough to follow such a serious evil individual. Black Convoys ambition to resurrect the elite Destronger army may yet be far from being realised. 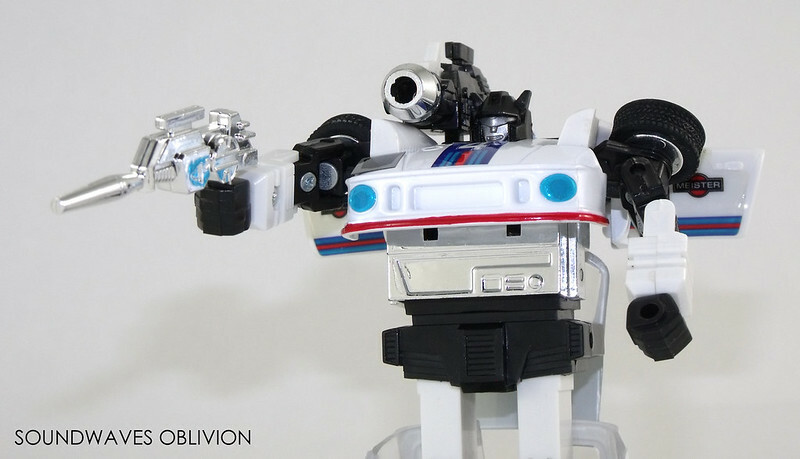 Black Convoy escaped prison on Seibertron and scoured the universe to settle things with his longtime rival. When he came to Earth he scanned a new vehicular form. 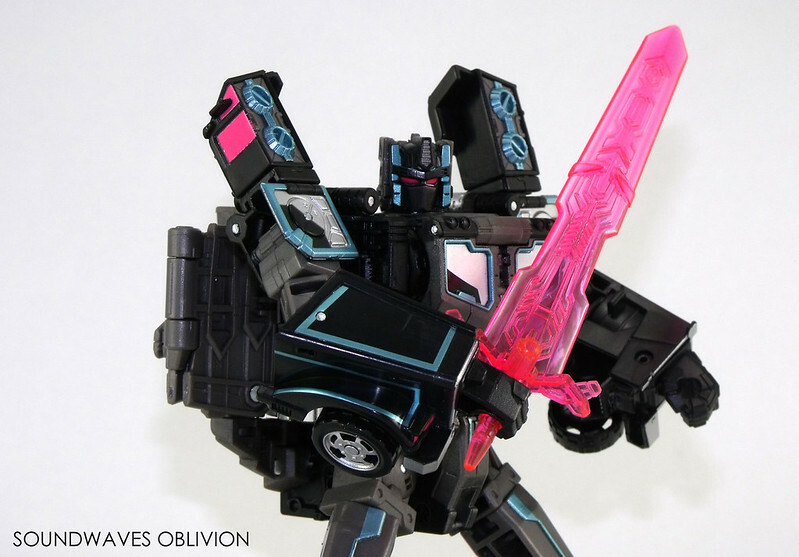 Burning with obsession he polishes up his Black Sword dreaming of targeting Fire Convoy with his blade, all whilst continuing his travels. Ability: The fastest out of the jet fighters. Fires cluster bombs and can emit a special radiation ray. 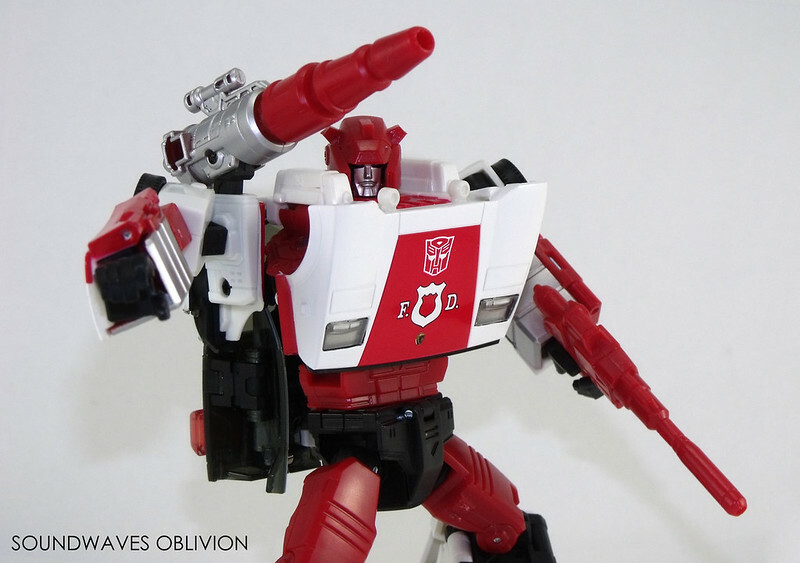 Character: Aims to usurp Megatron and take command. Overly confident. Motto: "Where there's smoke, there's me." 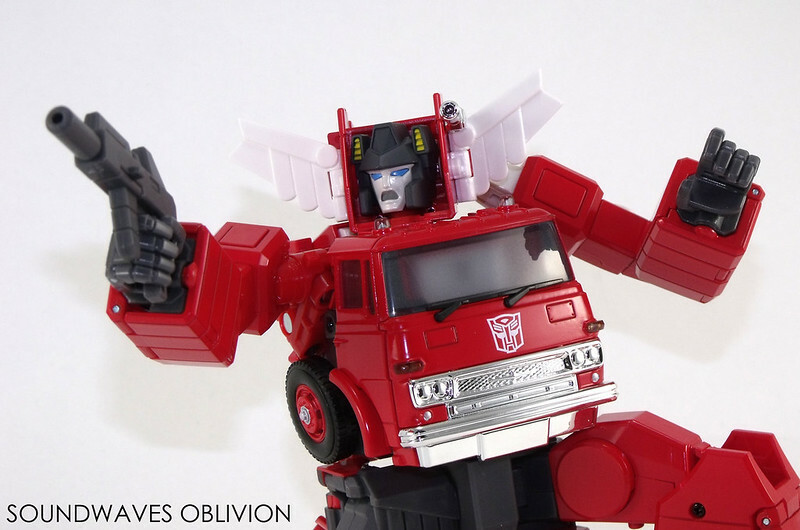 Cybertron Search & Rescue Inferno is an excellent team member, patient and sincere, he can sense when his friends are in trouble and will fly to the scene. He enjoys combat which can go to his head, however he still pays attention to his surroundings and any damages sustained to his companions and he will carry out rescue missions to ensure their safety. Along with his partner Alert, they quickly react and control any dangerous situations. Ability: Has outstanding strength. Can fly with his rocket injection pack. Fires flares which light up the surrounding 30km as if it were midday. Character: He is sometimes reckless in order to complete his missions. 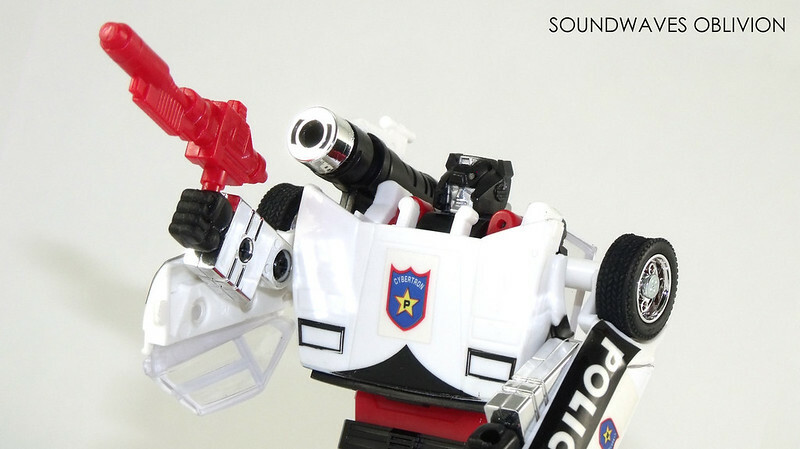 With Takara producing toys for Italian toy company GiG since 1981, they decided to release the Diaclone line in North America to match the popularity in Italy. Renamed Diakron, a few of the Diaclone figures were repackaged and released in 1983 to test the market in toy stores such as Toys R Us and Kay Bee Toys. Unfortunately the figures released were not well received; there was no marketing campaign or background and the back of the boxes being the only catalogue for the toy line. Motto: "Fear is the element that unites all losers." The Aerial Warrior Dirge is one of the new members of the Jetrons. Transforms into a jet equipped with a canard (front wing); his engines emit ultrasonic waves which can destroy nearby structures as well as instilling fear to those who hear them. Escaped a space prison long ago; his dark and destructive impulses even frighten his companions. 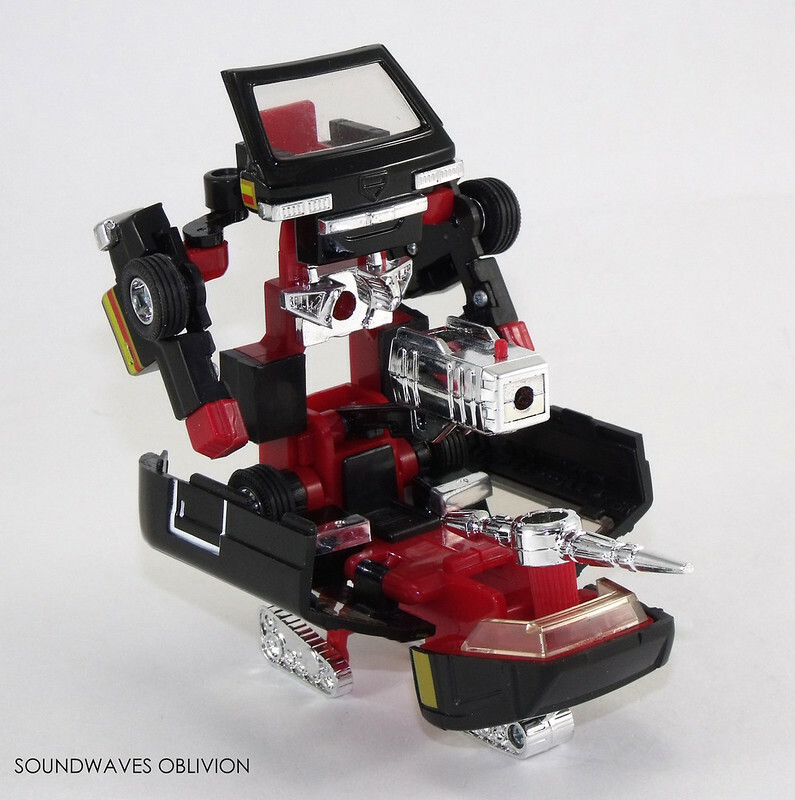 In 1984 alongside Takaras Diaclone Car Robot series, GiG also imported a good chunk of Takaras Micro Change toy line. Gone were the references to the Micro Change name and in its place was the Trasformer name on all the boxes. The figures however kept their MC designation numbers. Other than the Trasformer name ad the Italian text, the boxes were identical to the original Japanese counterparts. Motto: "Conquest is made of the ashes of one's enemies." 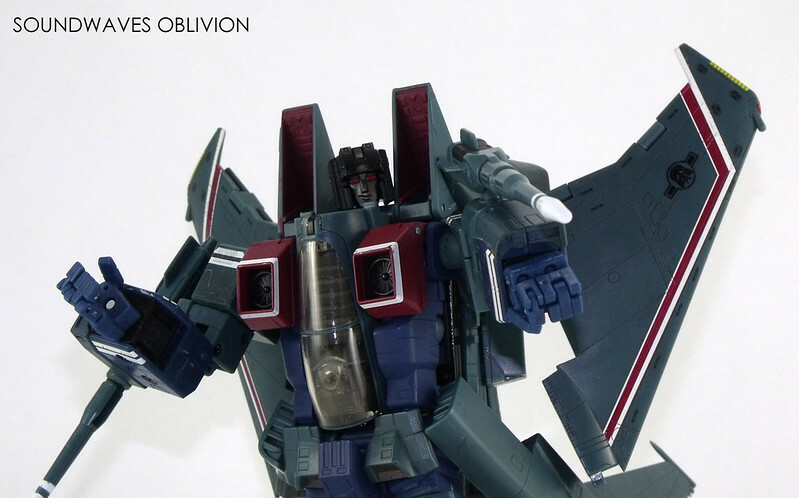 Starscream does not hide his ambition in wanting to replace Megatron, the Great Emperor of Destruction. 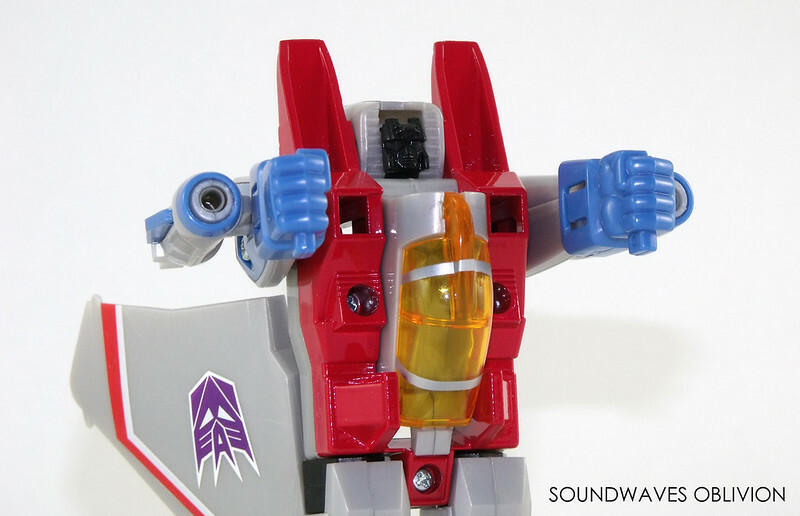 Starscream believes the Destron army should rely on cunning and speed to defeat the Cybertron warriors, rather than Megatron’s strategy of ferocity and destructive force. 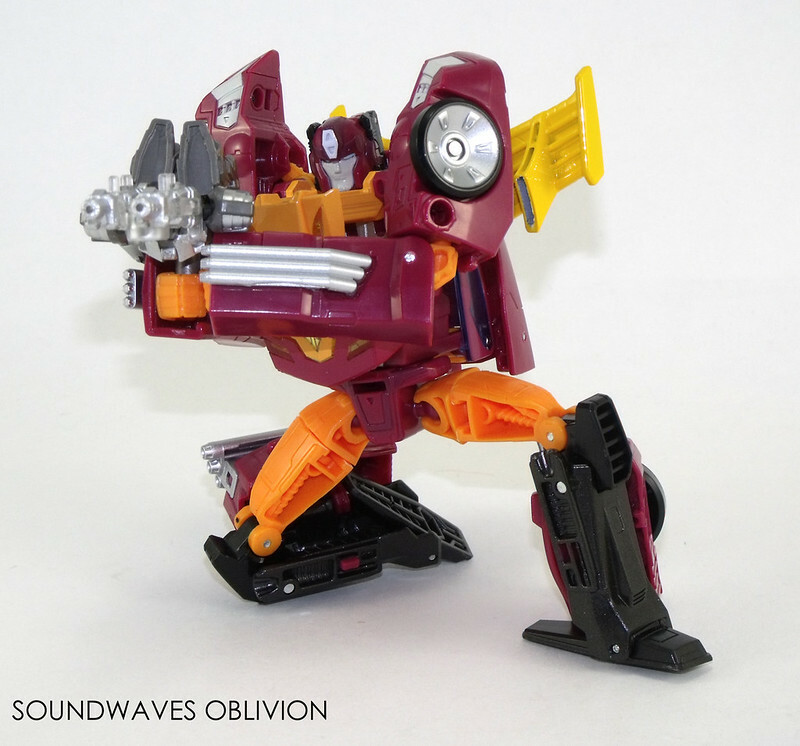 Alert is one of the most highly strung members of the Cybertron’s. His perception circuits react even to the slightest smoke, whisper of crackling electricity or faintest smell of fuel, allowing him to prevent trouble. His companions can be unsympathetic to his nervous behaviour but they respect the contribution of his duties. 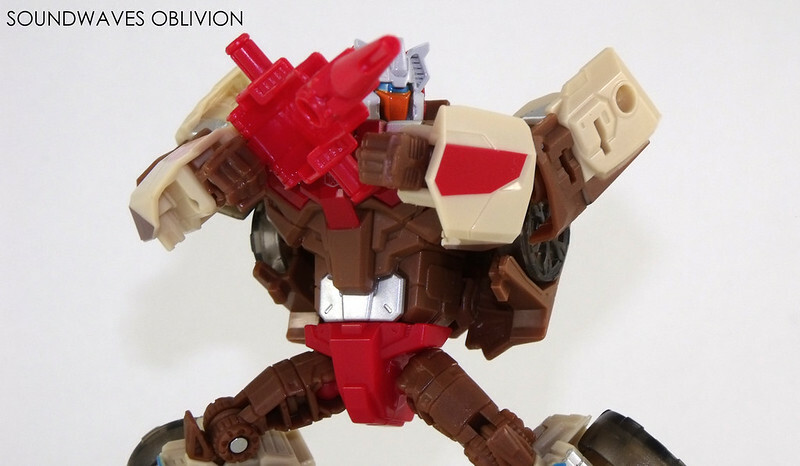 Chromedome is a hot blooded warrior burning with justice; strikes down Destrons from a combination of his youth and power. As Attack Commander he specialises in combat; he draws illustrations as a hobby. Has a serious demeanour and is very meticulous in every aspect; trusted by his teammates. Has become close friends with his partner drone Moguru as they share a kindred spirit. 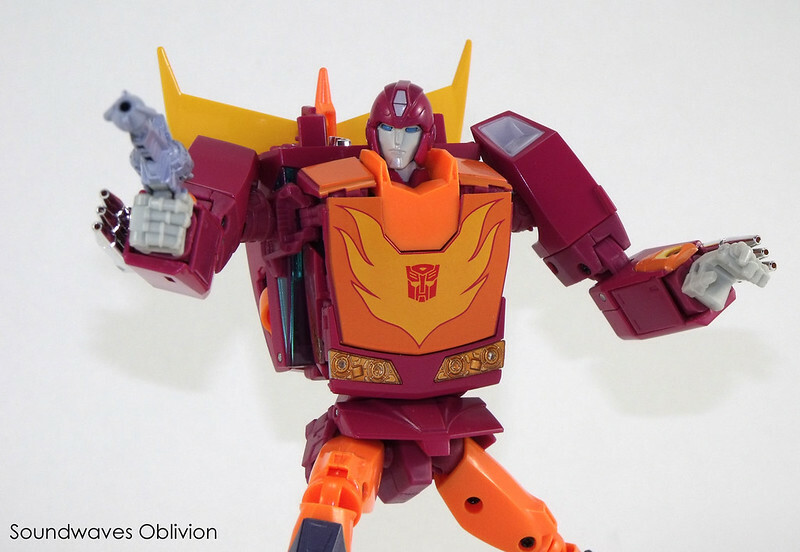 Hot Rodimus is a young Cybertron warrior who dreams of becoming a hero. Because of his youth his impulsive behaviour can be a disadvantage, however he is brave and conscientious, worthy of being a Knight. Excels at shooting with his two Photon Lasers and exhaust pipes, however he prefers fishing with friends rather than combat. Wheelie likes his new friend Go Shooter a lot. For him, the delight of his friends presence cannot be changed in any way. Having experienced the loss of many friends and having to survive by himself has forced him to grow up quickly, from this however he has learnt the importance of spending time with friends. He always fights to save his friends using his small body to his advantage. Motto: "The faster it is, the better I like it." 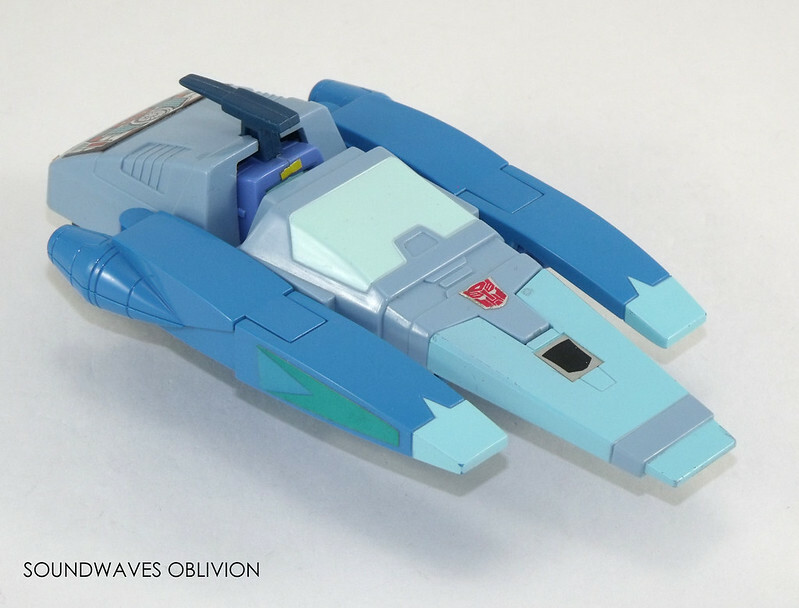 Blurr is the fastest Autobot on land. He's a close descendant to a thoroughbred Cybertronic race horse, and a superior messenger. He can quickly whisk information from one place to another. In robot mode he carries an electro-laser that reverses the polarity of an enemy robot's microcircuits and leaves them motionless. Range: 10 miles. 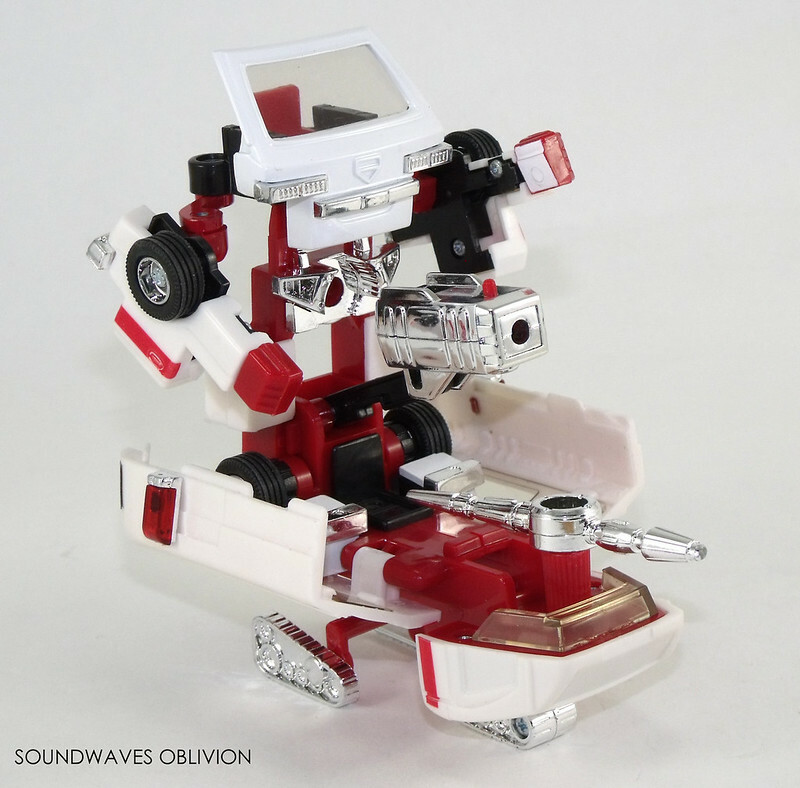 In vehicular mode, he can travel faster than the speed of sound, leaving a blurred image in his trail. Ability: A genius with machine operation. His main duty is repairing Cybertrons wounded in battle. He also worked alongside Wheeljack to create the Dinobots. Character: Always calm and has precise judgement. 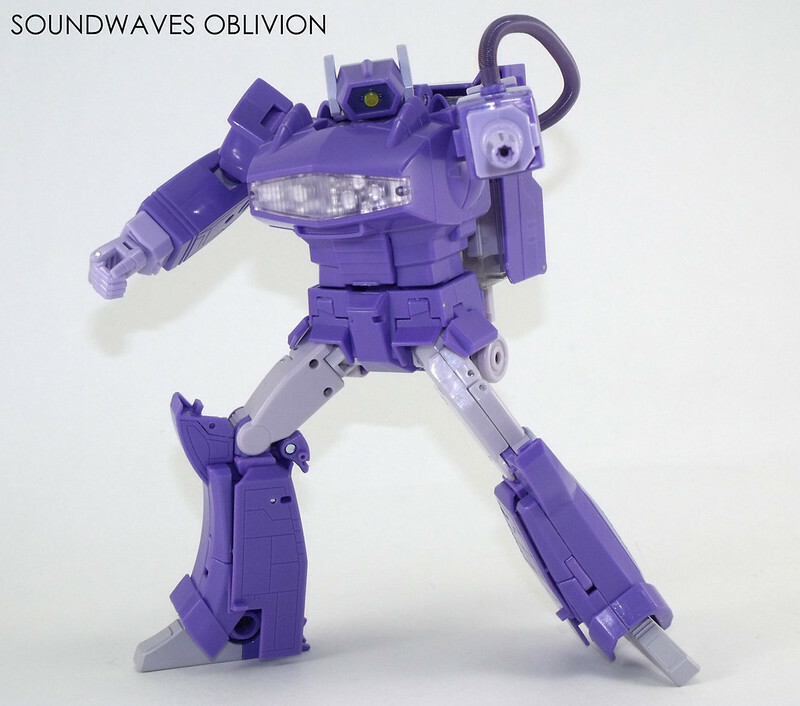 His repairs are first class and the Cybertron warriors are given peace of mind as he works on their bodies. Ability: An investigator attached to Seibertron's capital city police force. Dispatched to Earth with his brother Clamp Down, with whom he shares a common program architecture, being born of the same-generation product line. He performs solo infiltration/investigation missions, making much use of his image projection, parabolic antenna and size-reduction functions, the last of which can shrink him down as far as 1/40 normal size. Deep Cover carries many secrets within him, a fact that sometimes shows in his tired expression. If one word represents Skull, it’s “hooligan”. To stop his rampages, Wipe is occasionally forced to put him to sleep with hypnotism. Skulls teeth are incredibly strong being able to cut through any metal; his partner drone Butler is always close by to provide dental maintenance. 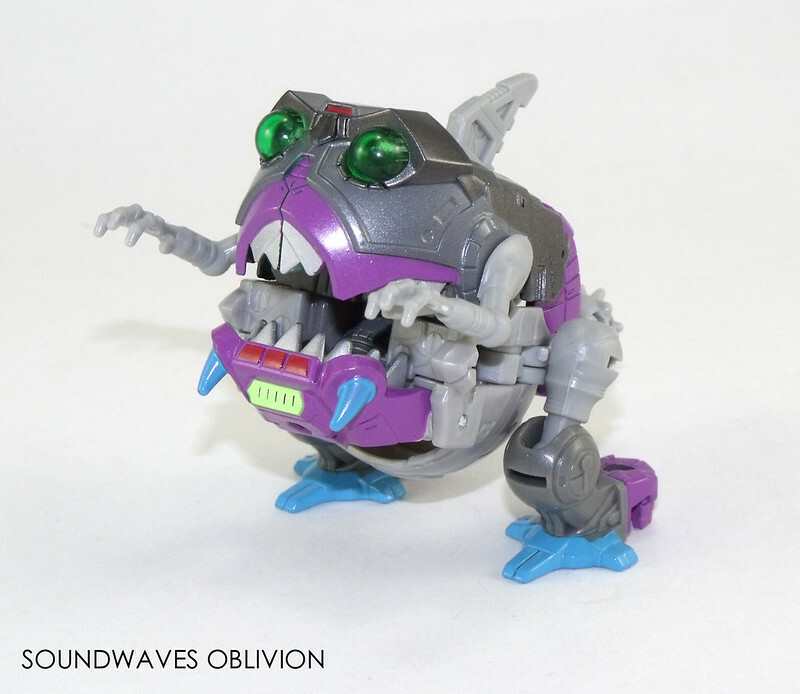 Butler also has a special ability to capture headmasters and transform into dinosaur mode. Ability: Has a high performance stereo speaker system and is able to confuse enemies with light and sound displays. Character: A skilled Cybertron warrior who loves Earth's culture; knowledgeable and competent at undertaking dangerous missions. Ability: Carries a Photon Rifle and Spectrum Beam. Has a high performance stereo speaker system and is able to confuse enemies with light and sound displays. 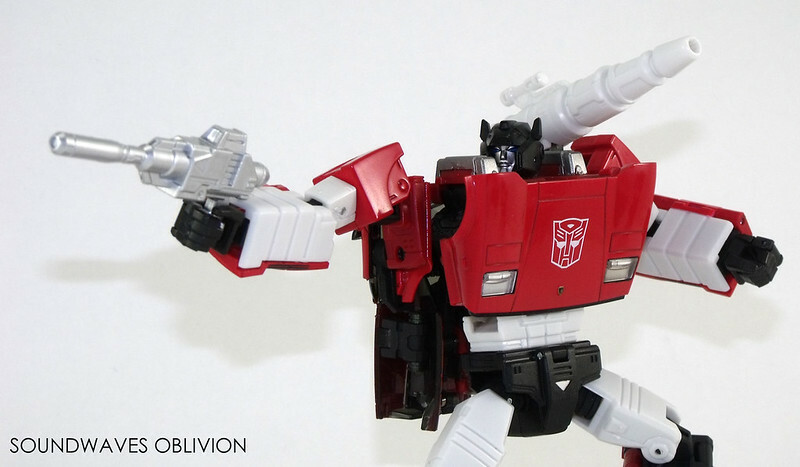 Ironhide is a member of the Cybertrons and maintains a lot of influence. He has a youthful enthusiasm and tends to be quite militant. One of his duties is guarding Supreme Commander Convoy. 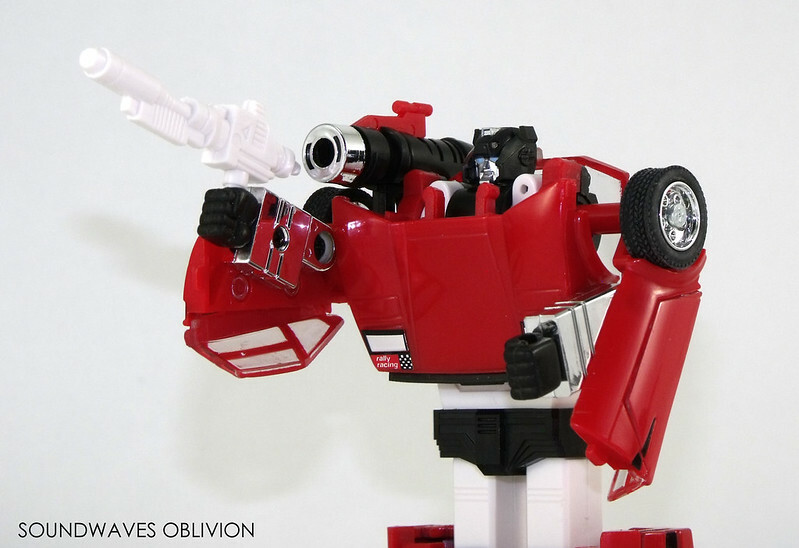 After battles, Ironhide is conscious of how the conflict affects the Earth. His duty not only has him disguised from the criminal earthlings, but also from the Destron army. 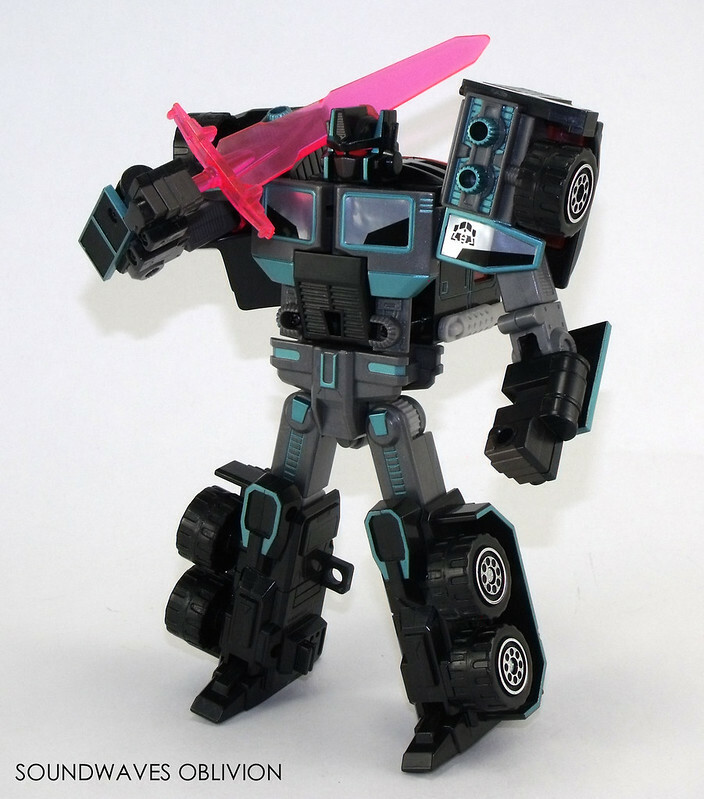 He covered himself in a jet-black colour in order to increase his protection capacity of Convoy. 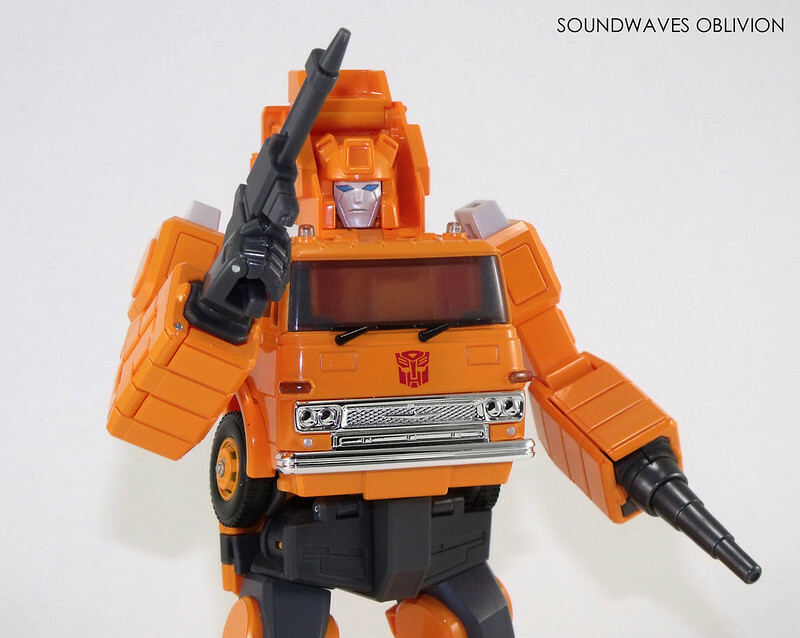 His fellow Cybertron soldier companions have whispered that he got the idea from Men in Black style vehicles, however he has seen a few black pick up trucks around town. He has increased his trithyllium steel skin's durability by coating his armour with a composite gel metal. This allows him to immediately self repair minor injuries. 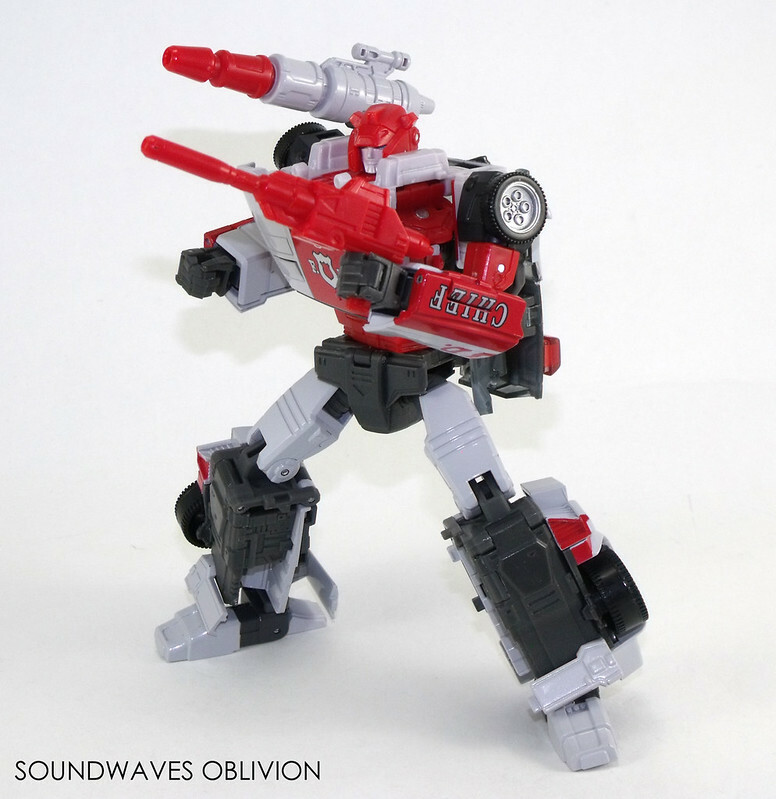 His mobile artillery has increased 25% allowing him to protect the Supreme Commander Convoy with ease and enabling a swift counter offensive. 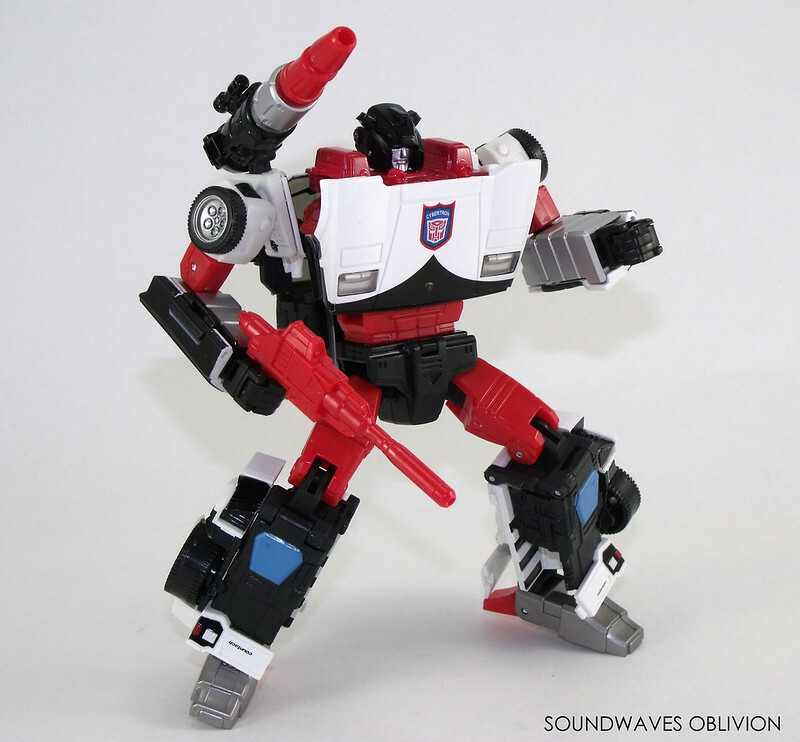 He can handle the roughest of terrains using his three legged marauder mode. 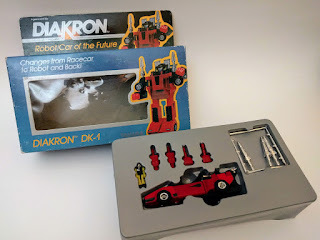 After completing their run of Takaras initial Diaclone figures in 1983 (see Part 2), the following year in 1984 GiG released their version of the Diaclone Car Robot line up. 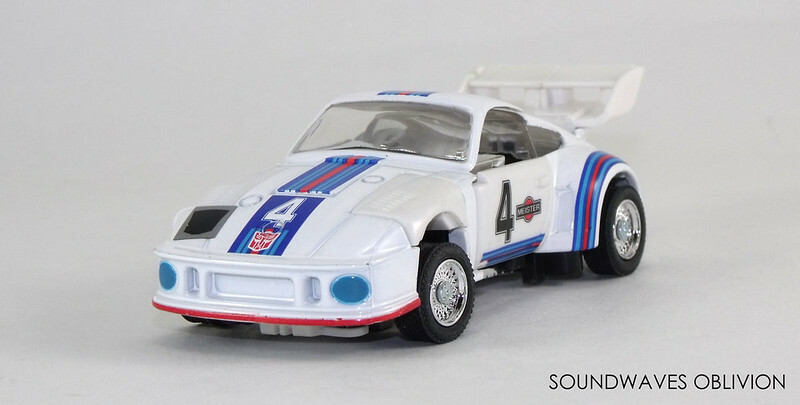 "Car" in Italian translates as "Auto", so these releases were renamed "Auto Robot", the name Diaclone was removed and instead they were re-branded under the name "Trasformer". 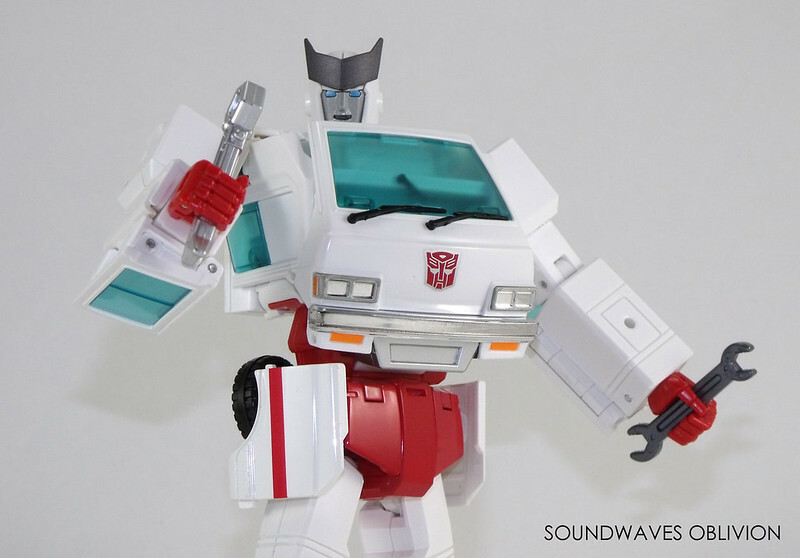 Cybertron Medic Ratchet is a doctor and an excellent technician in charge of repairing his companions as well as their headquarters. Has a gentle personality but can occasionally make harsh remarks when he is worried about his friends. Is an excellent warrior and has good command at handling firearms; supports companions on the front line in every aspect from fighting to treatment. 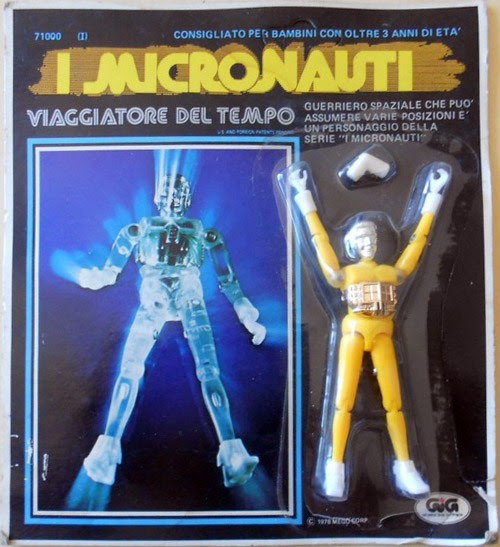 Once GiG had released their I Micronauti line, continuing with Megos Micronauts line (See Part 1), they turned their attention to another of Takaras latest brands, Diaclone, releasing many of the figures in Italy. After Henshin Cyborg which were 12 inch figures in 1972, Takara down scaled in 1974 to 3.75 inch figures in the Microman line and now in the Diaclone line, the figures were now an inch tall and were called "Inch-Men" - (labelled "Dianauti" on GiGs Diaclone boxes). Motto: "Never do what your enemy expects you to do." 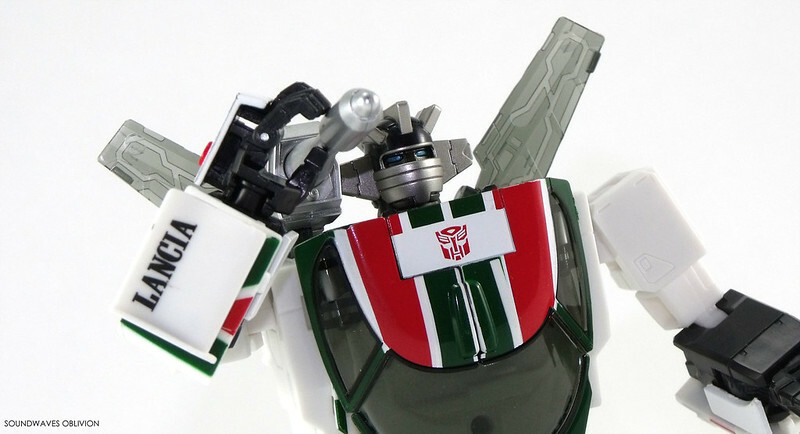 Wheeljack is a cheerful mad scientist. An excellent engineer, always immersed in creating new and fantastic inventions at the base, sometimes however he gets injured during failed experiments. He boasts driving skills which can out manoeuvre Hollywood stunt drivers. In robot mode he can fly at a maximum speed of 515km/h reaching a distance of 1300km. Italian toy company GiG was founded in 1968 by Gianfranco Aldo Horvat and mainly licensed toys from other toy companies for sale in Italy. 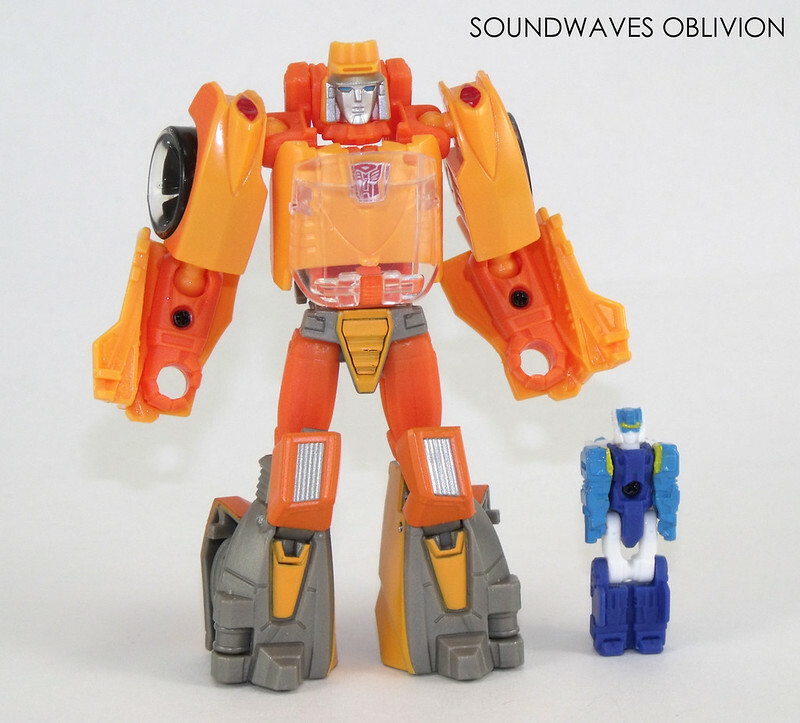 Best known by Transformer fans was GiGs partnership with Takara, bringing their Diaclone Car Robots and others under the new brand name "Trasformers". 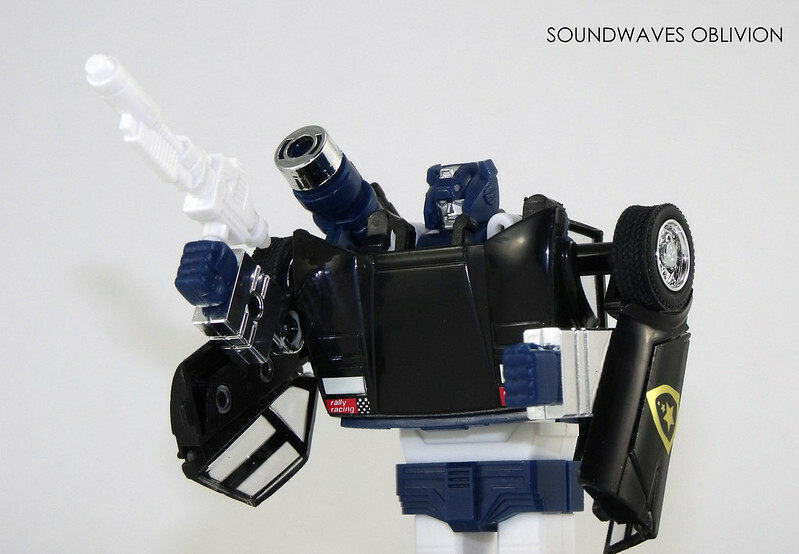 In 1985, Hasbro asserted their dominance against GiG pushing them into line to use their Transformers branding which Takara themselves had adopted after dropping their Diaclone and Micro Change lines when they saw its popularity. 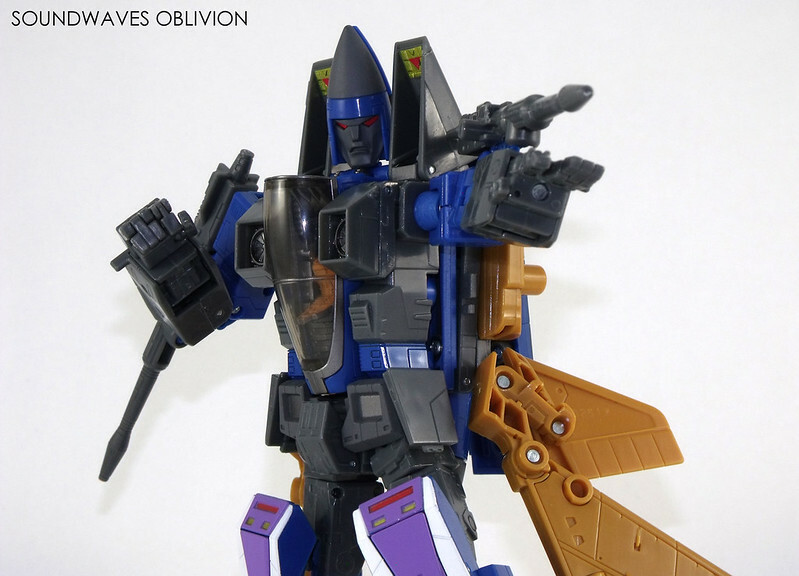 GiG still maintained their relationship with Takara and even released a few "exclusive" Transformers of their own such as the Bruticus & Abominus giftset and Transformer Victory's Galaxy Shuttle. GiG continued to operate as in independent toy company until 1994 when it partnered with another Italian toy company, Giochi Preziosi. In 1999 GiG was completely merged into Giochi Preziosi. Gianfranco Aldo Horvat remained with the company until 2003 and he died in 2009. A robot policeman dispatched from Seibertron to an Earth police facility through an interplanetary talent exchange program. Cooperating with human partners, every day he devotes his efforts to the safety of his region. Unsophisticated and kind-hearted, he cracks down on vicious crimes with a firm manner. Now and then he'll conflict with the locals or his co-workers owing to differences in culture or moral concepts. Ability: A robot policeman dispatched from Seibertron to an Earth police facility through an interplanetary talent exchange program. Cooperating with human partners, every day he devotes his efforts to the safety of his region. Unsophisticated and kind-hearted, he cracks down on vicious crimes with a firm manner. Now and then he'll conflict with the locals or his co-workers owing to differences in culture or moral concepts. 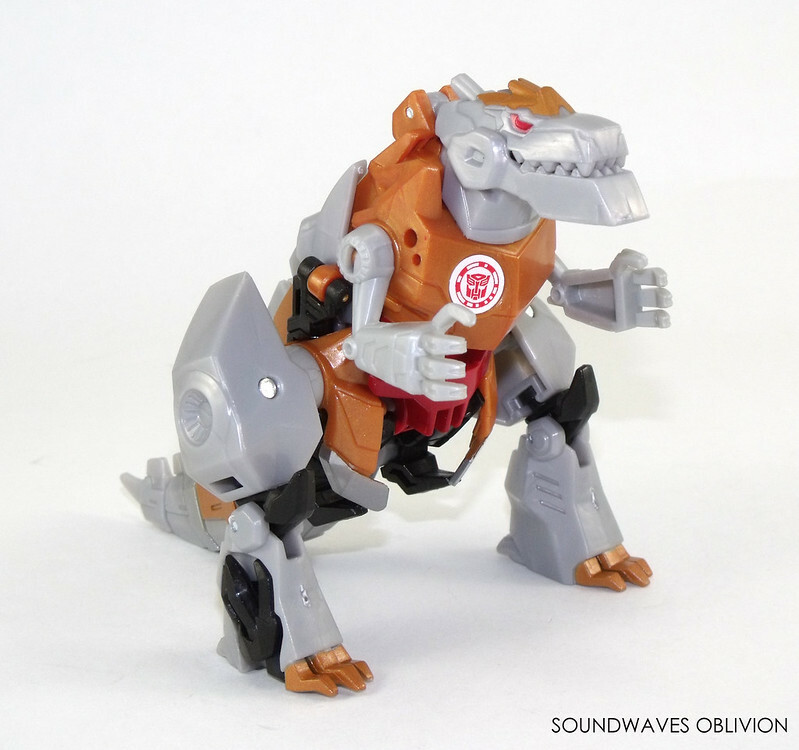 Dinobot warrior Grimlock transforms into a T-Rex. 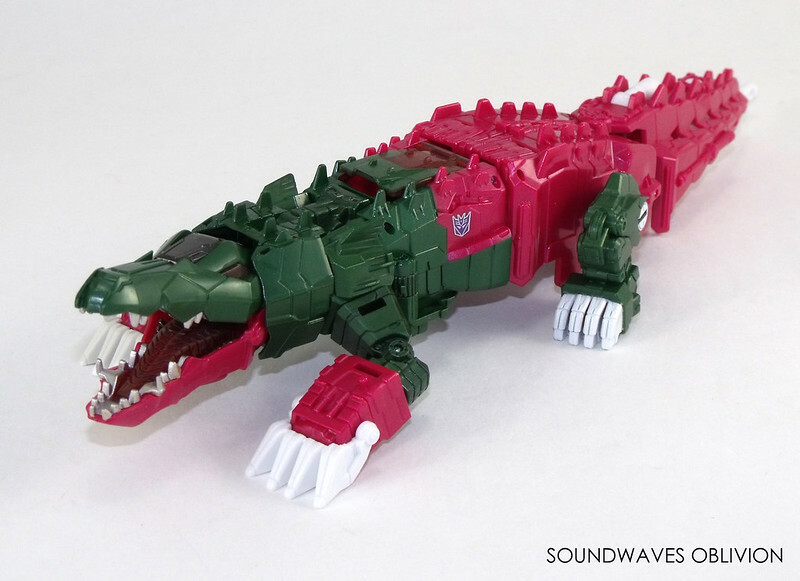 A powerful transformer who mows down enemies with his powerful tail and attacks with his sharp jaws. In the distant past he was remanded due to his scary appearance despite his innocence. Initially hostile towards the Autobots but has gradually opened up, warming to both his companions and the humans. Now the good-natured Grimlock, along with his comrades set out to capture the escaped Decepticon prisoners.